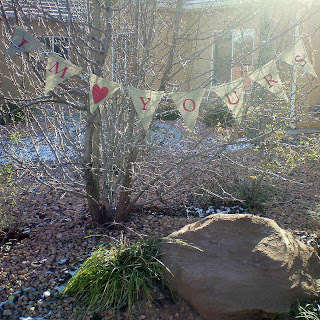 burlap I’M YOURS Valentine Pennant Banner! To make the pennant banner. 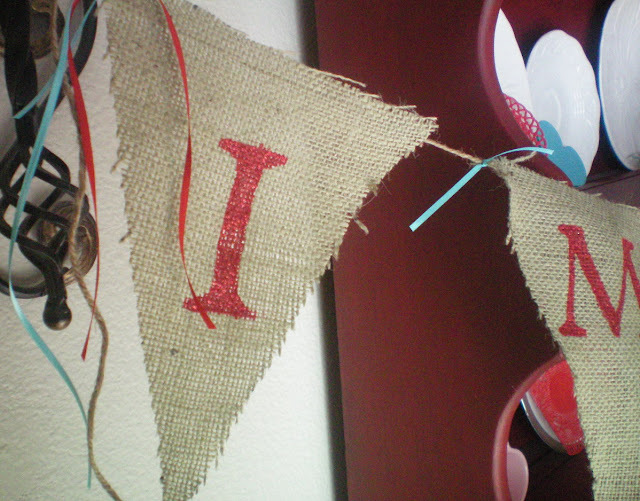 I cut out a 51/2 inch paper pennant from my “Lyrical Letters” Cricut Cartridge. 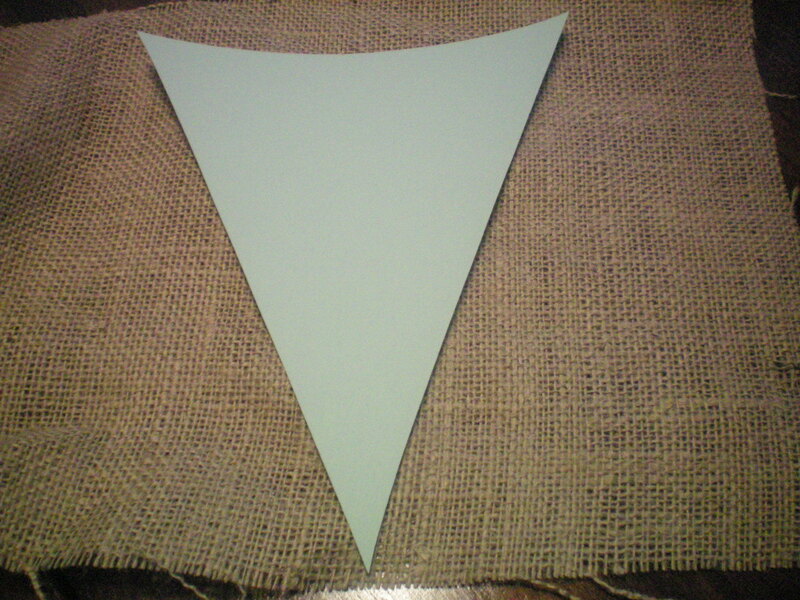 Then I traced the pennant onto the burlap several times with a sharpie and the sis cut them all out. Next letters were cut out using card stock paper, and my Cricut “Platinum Schoolbook” Cartridge. 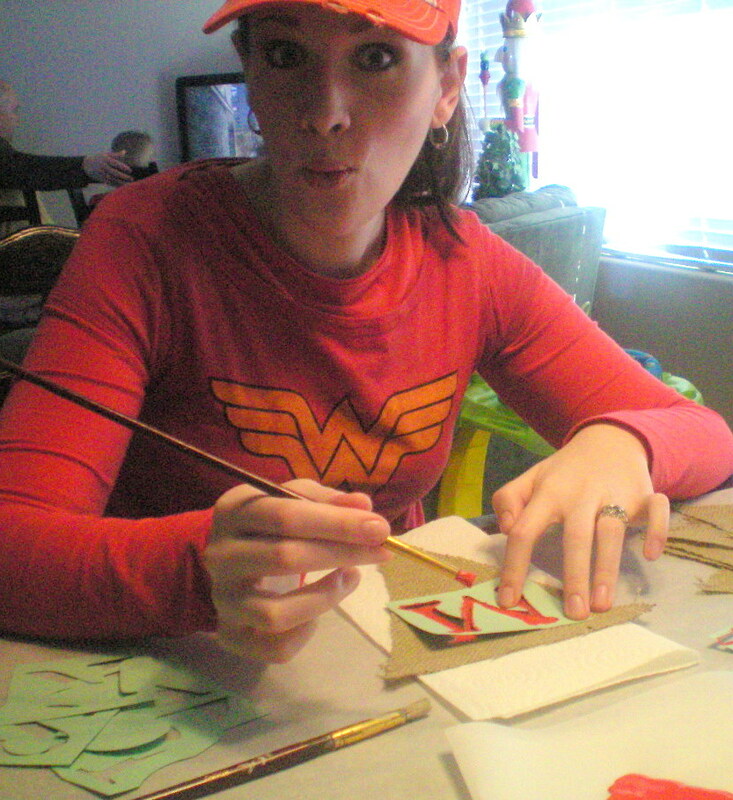 Then my sis carefully stenciled the letters on with red acrylic paint. We tried the glitter glue first, but you need TO paint FIRST, then do the glitter over the top. My sis with her MAD stencil NO LEAKING SKILLS! woot! Seriously she is the artist in the fam. I should do an entire post on some of her art work and ceramic sculptures. P.S. YES’ Christmas is still up in my house notice the nutcracker? or better yet DON’T HA! …. and YET I continually work on early V-DAY crafts, call it CRAZY PREGO BRAIN IDK? 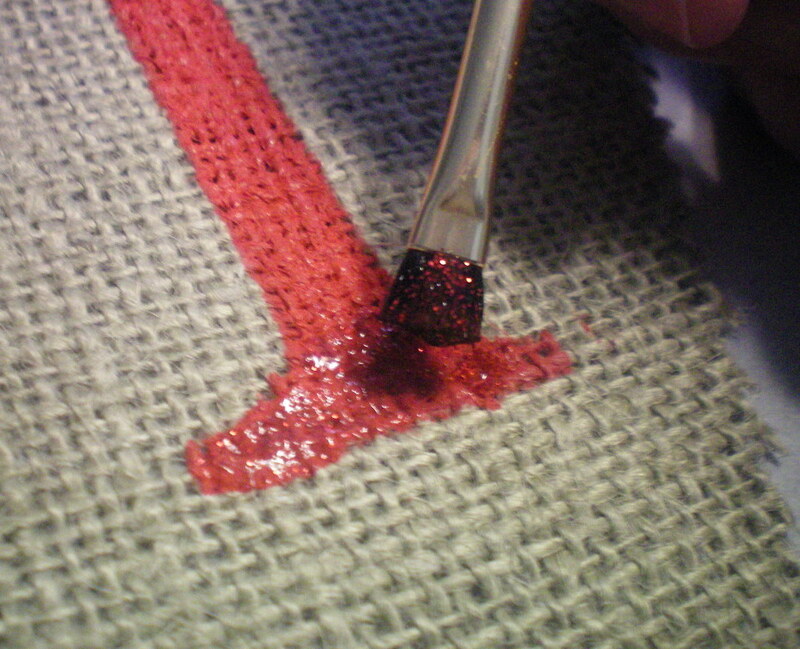 Next I used a thin narrow brush that I would squirt a little glitter glue on to dab over the painted letter. the letters should come out like this! 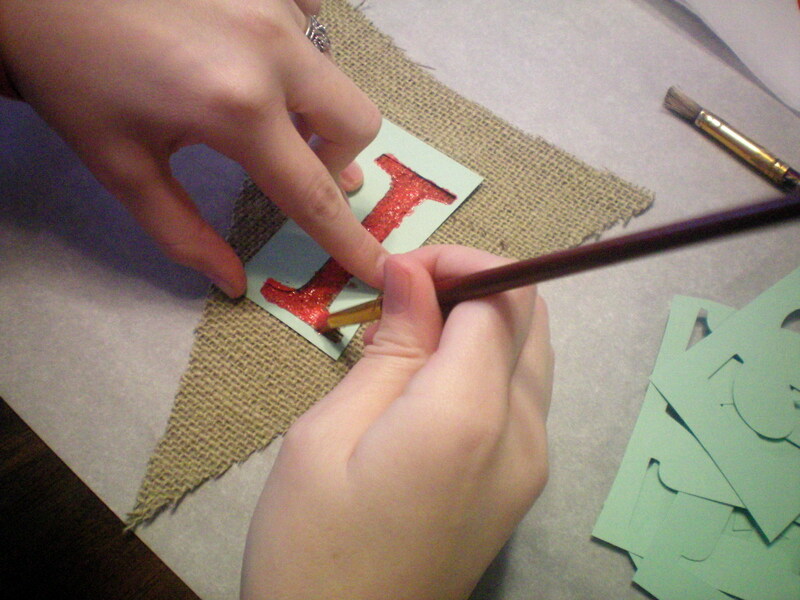 After your letters have thoroughly DRIED… the last thing you will do is glue. Carefully lay the jute/twine (?) over the hot glue, I did a hot glue dab in each corner. 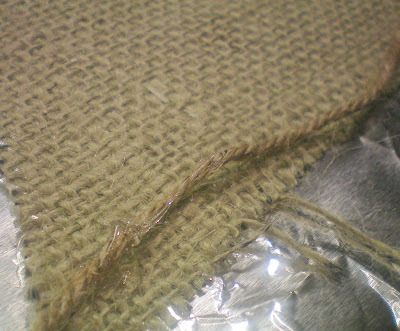 I used a toothpick to push the jute down into the hot glue. Continue this step until all are glued. Let Dry. I am linking to The Girl Creative for Just Something I Whipped up HERE C.R.A.F.T. for Making Monday Marvelous HERE and Seven Thirthy Three for S&S party HERE Somewhat Simple for SYS Thursday HERE Tatertots and Jello for Weekend Wrap Up Party HERE Blue Cricket Design for Show and Tell HERE and My Romantic Home for Show and Tell Friday HERE amd Somewhat Simple for Strut your Stuff Thursday HERE. 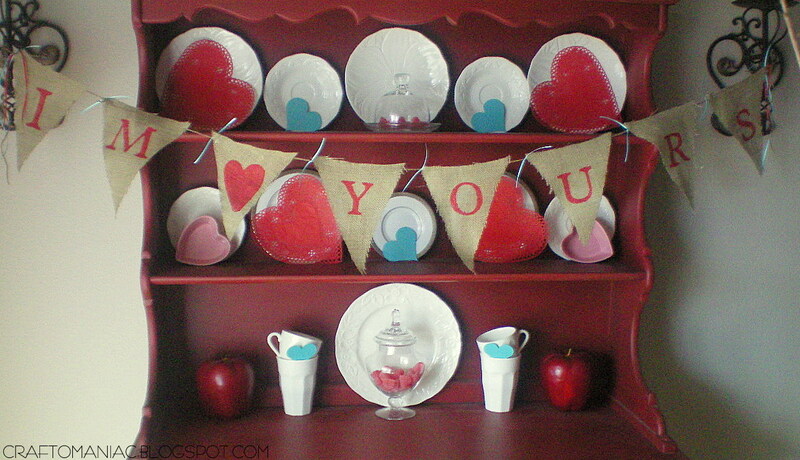 You’ve been inspiring me to bring out all the Valentine decor today, even though my Christmas lights are still up! Love your banner. I was thinking of doing a “Love Rocks” one out of paper on my Silhouette. We had such fun doing our craft and ringing in the New Year!!! Love ya Jen and our Burlap banner!!! Since you are such a V-Day nut, I thought you might enjoy hearing about one of our family’s V-day tradition. My mom had a bunch of stuffed hearts kind of like your topiary hearts with our names on them. At the beginning of Feb. we would secretly pick a heart out of a basket and until Valentine’s Day we had to do secret nice things for that person. Then at our family Valentine’s day dinner, we would reveal who we had. It was a lot of fun and we really loved it. Thanks for all your fun ideas! 🙂 I like it! Banners make everything more fun. Thanks for the great ideas! I love all your banners! You have such a festive site! I have probably made a paper banner for every holiday last year and then threw them away but, this year I told myself I would make them from fabric to keep! 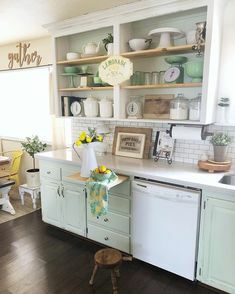 I love the burlap look! 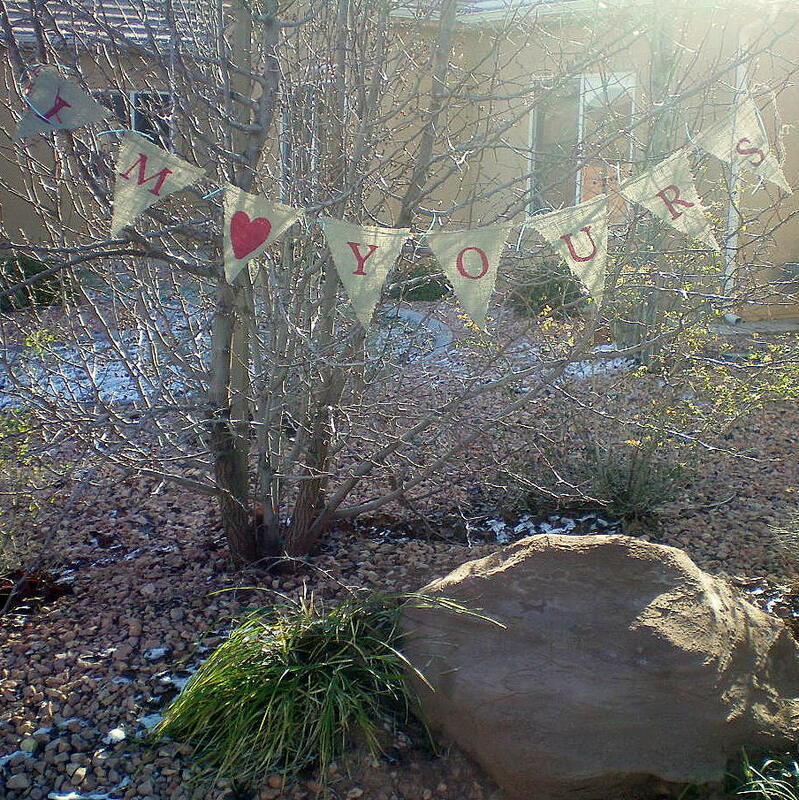 I love all of your valentine decorating, it looks great. I just wanted to share a secret for the painting of the burlap banner. 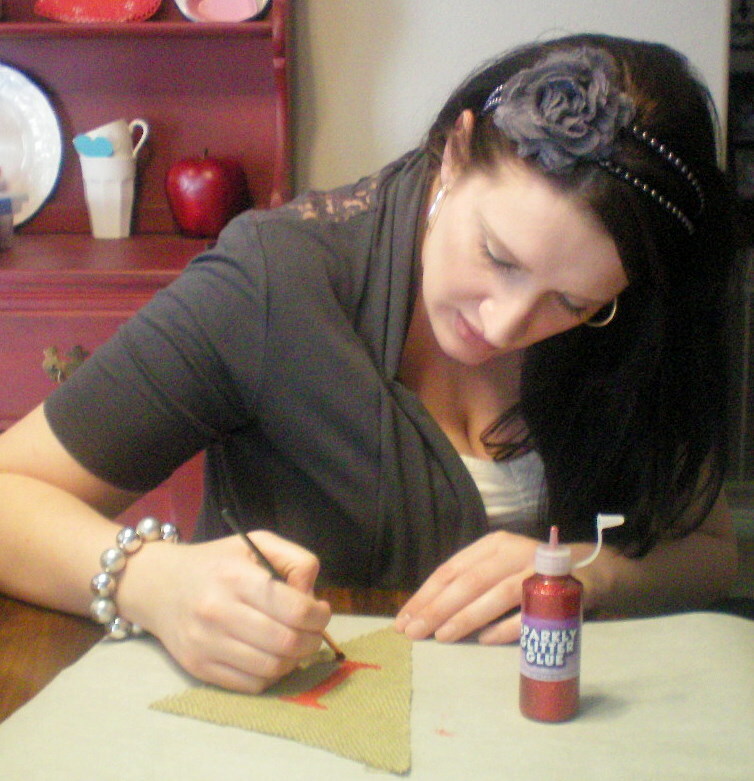 Use freezer paper, it irons right on to the fabric and then when you paint there is no leakage and it just peels right off when dry. 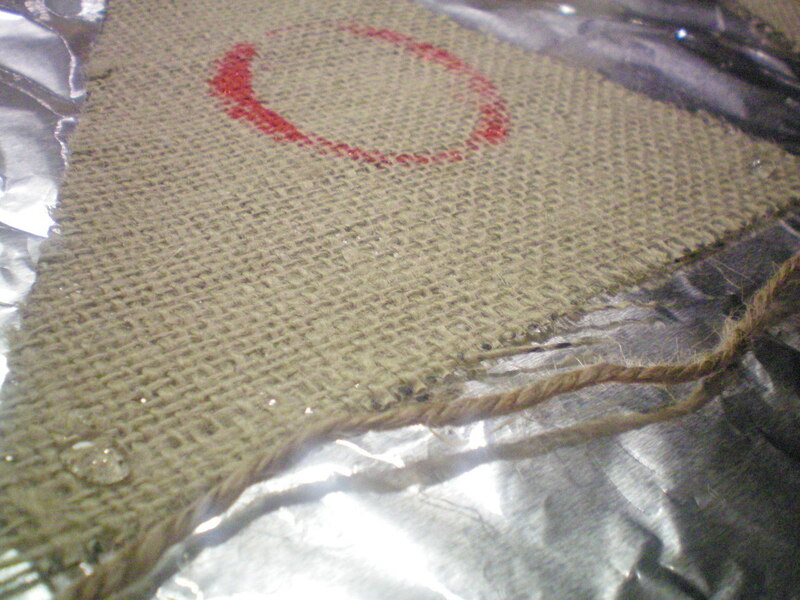 Look up tutorials for freezer paper on the internet, it’s awesome stuff. LOOOOVEEEEE it 🙂 Looks fantastic! 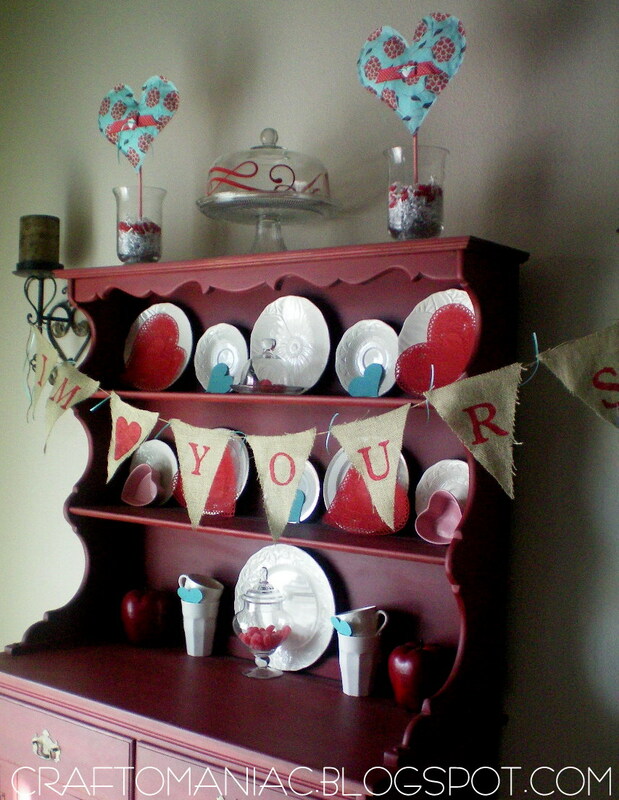 So sweet….and all of your decorations look wonderful! This is so cute and so simple! Sounds like you had a great New Years Eve! 🙂 Visiting from Tatertots and jello. Love them! 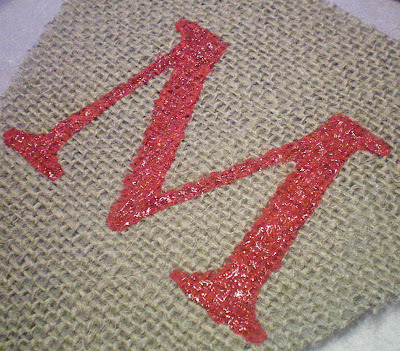 Love the contrast of the burlap with the sparkly paint. So cute! 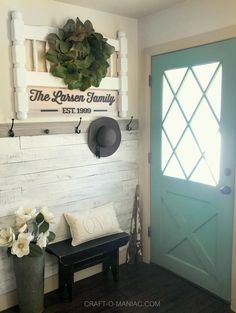 I’m in love with burlap right now 🙂 Hope you’ll swing by my party and share this! I love your banner! I found your project through Tatertot’s and Jello’s weekend wrap up party. 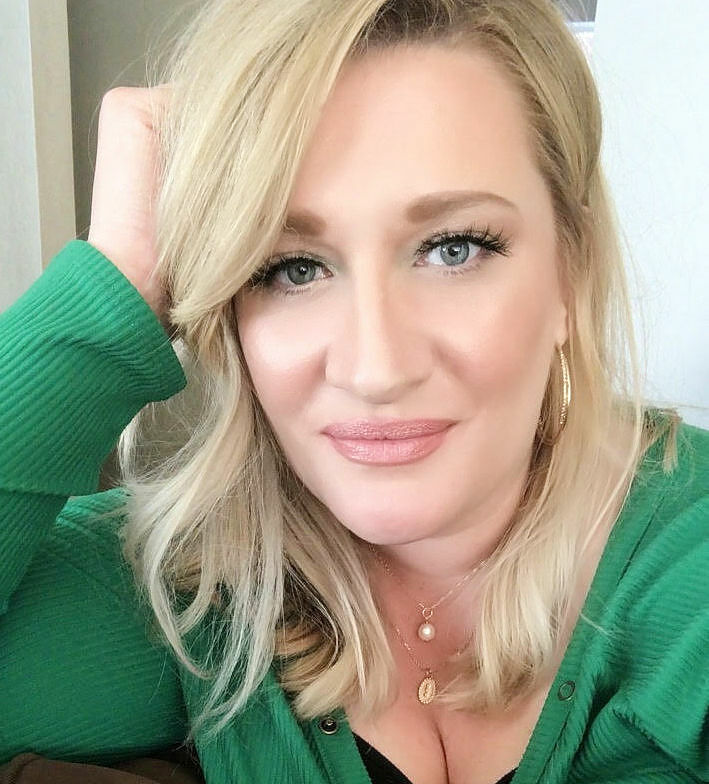 I featured your banner in today’s post! I love this project, so cute! Please link it up to Sister Sister Sunday if you have a chance, I am visiting from Blue Cricket Designs. Another super cute home run! This is so pretty!! Thanks for the inspiration! Burlap and glitter what a great combo! Those are so cute – I love banners and burlap so what’s not to love.